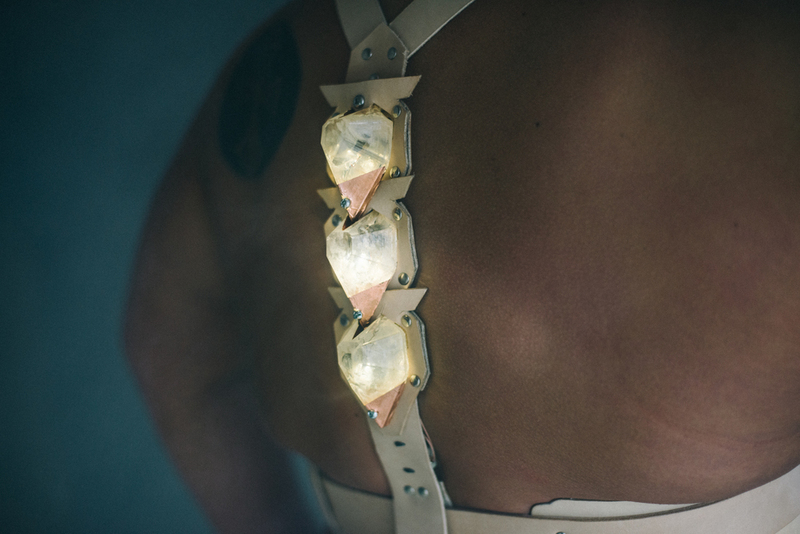 As the haptic device, Costumes for Cyborgs_sensation, senses the back’s movement, a series of vibrating motors are set off down the back in a pattern which echoes the spine’s movement. Because this work is in direct conversation with the wearer’s body, it emphasizes the push and pull between wearer and wearable; body and technology. In addition, the push and pull between the wearer/observer and art piece synthesize into yet another variation on the art object, which can be observed by a third party. The new experience of body by the wearer adds choreographic consciousness to normally unconscious movement.